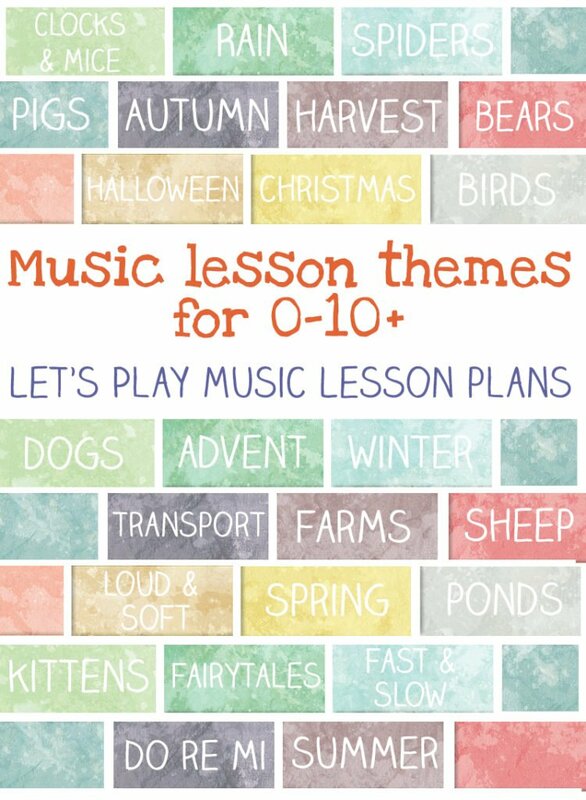 Let’s Play Music Weekly Lesson Plans! 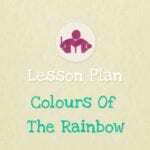 Themed lesson plans for children from 2 – 7 years. Since I started Let’s Play Music I’ve been busy building up the content which is based on the 25 years of my experience teaching music. Nowadays there’s a considerable amount of material to navigate and so of course it can be time consuming too. There are 100’s of themes and a huge variety of activities which all have different educational benefits. And of course sometimes it can be difficult to find what you’re looking for. As time is a precious commodity for everyone these days, I’ve decided to introduce weekly lesson plans which will cover a different theme or topic each week. The plans will provide detailed guidance on how best to use our existing content to structure balanced music lessons. In the hope that they’ll help to keep the inspiration flowing, which can often become difficult to sustain on a weekly basis. 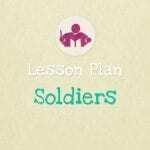 These plans include a step by step outline of each lesson with teaching support and tips. They also include all the accompanying printable resources needed for each lesson and a full list of any recommended materials or music links. With detailed information on how you can adapt each lessons for children of different ages and experience levels. I do get lots of questions on the blog about how to teach various musical concepts. Understandably, I think that new teachers of young children can find the idea of ‘proper music lessons’ a bit daunting, especially if they didn’t really study music themselves. In essence these plans will guide the teacher through a structured weekly programme. Lessons which are intended not only to explain and build up musical skills but will also to be an enjoyable and fun weekly highlight in the classroom. To make sure you don’t miss them, follow us on Facebook or subscribe to our newsletter which have all the links to the latest posts. The titles below highlighted in green are links to the themes which are available now. Click on the title to take you to the relevant page for more details about each lesson. Grey titles are the themes that are not yet published and will be coming soon. I will be adding to them over the next school year so there are many more themes to come. Also don’t forget to explore the rest of the digital musical resources available on the website over in our store. “I purchased “Clocks and Mice” to teach to my 3-5 year old preschool class. They loved the songs, games and playing the chime bars so much that I stretched this lesson over three weeks! (The music class is once a week.) Now we are transitioning to “Cat’s and Kittens” which is a perfect compliment to “Clocks and Mice.” They are learning so much through play and music with these two lessons. I’m glad you found Let’s Play Music, I’m sure you’ll find the resources very useful! My lesson plans are at least 30 minutes long, but can take longer depending on the number of children you have in the group and how many times you have to repeat things. I rotate the themes so that the subject changes each week, but there are some activities within the classes that we always do on a weekly basis. Young children love the familiarity of repetition and luckily it’s also good practice and builds basic musical understanding. The key is to get the right balance between familiar activities and interesting new ones. Every group of children is different, and you will find that yours will have their own favourites and they’ll definitely tell you which ones they are! At the beginning of the year I usually start with the ‘Clocks and Mice’ theme this is because it’s a great one to hook them in with a clear, simple rhythmic message that’s easy to grasp (the Rain theme is also a good one for this). Obviously the seasonal themes are appropiate at the right time of year. The same basic musical lessons run through the classes; recognising the steady beat, listening to rhythms and repeating them, understanding note values, learning the solfege scale, pitching and singing notes and intervals and many more things besides! These ideas are introduced and as the children get better and better at them, with practice their confidence grows. If I were you, if you’re planning for a 10 week term, you could choose – Clocks & Mice, Bears, Apples & Harvest, What is The Weather Today? Spiders, Horses, Dollies & Babies, Rain, Autumn, Halloween. I hope this helps, do let me know if you have any other questions. Hi. I love your lessons. Are you still writing more? I would love to get the ones on the list above, but half of them aren’t links and don’t show up in your store? Are Weather thru Fairytales available plans to purchase? Hi…I am first time in here, may I know any lesson for baby? thank you very much…which topic should i use for first lesson? Hi .. i bought lesson from your wedsite, today i want to buy another lesson plan, but i cant proceed it. and my account have lock. hi how do I buy the weekly lesson plans. I couldn’t find a link. I just bought your first book. How many lesson plans or theme will I get for this price ? The lesson plans are $2.99 each, per theme. I’ve been building up the list over the last couple of terms, and next term they will also be available in bundles to make it easier to buy multiple themes. I’m interested in all the lessons (except for Halloween and St Patrick, im from South Africa and we do not have those holidays in our calender) but cant add them to the cart. could you please help me with that. 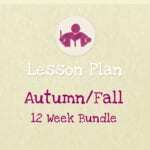 $2.99 for all Weekly Lesson Plans or only one lesson? Hi! The lesson plans are available at the special introductory price of $2.99 each. Hi Lesley! There’ll be a pirate themed lesson plan coming next term – each week the new theme is always on our Facebook page, so you can check easily there. How can I download the animal memory game? Your stuff looks great. Excited to start using your plans! 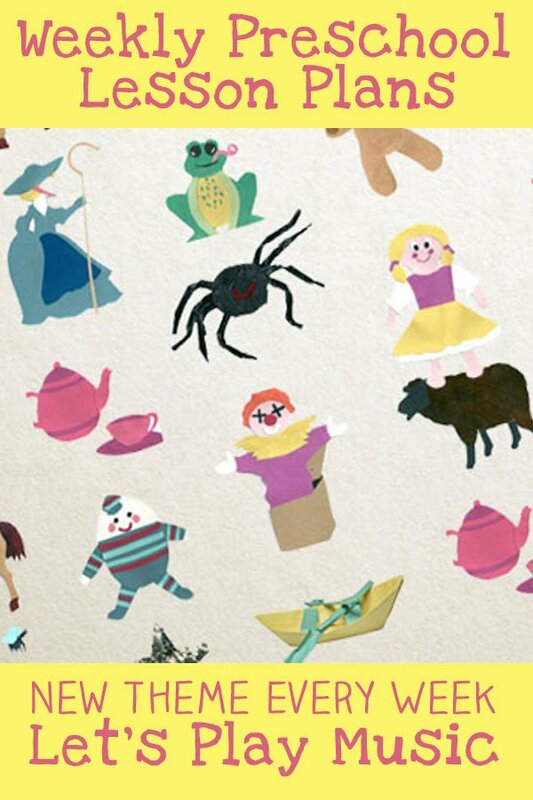 Can’t wait for the lessons for children up to 10, love this site too! The lessons for older children will be coming soon – watch out for updates on our fb page! I love this website! Do u have music lesson plans for 3rd through 5th grade?